I know exactly where she gets her grunts and expressions from – me. While I could sit and feel guilty that my daughter is learning bad behaviour from her mom, I choose to look at her angry grunts, scowls, and snide remarks as evidence of her emerging self. Like all kids her age, she imitates what she sees, so all my explosions of frustration and anger teach her how to respond when she faces similar situations. And I don’t see any problem with that. Frankly, I think my responses are fairly mild. I don’t yell, spank, or call her and her brother names (besides pooky pants or other silly made up words) and I am quick to apologize and show an excessive amount of love. Something that she has also picked up on. When Andrew is having a hard day, she hugs him and gives him extra attention and special treatment. When I am sick, she rubs my back and says, “I’m sorry momma.” If Andrew falls down, she runs to him and says “are you okay?” And, best of all, she will randomly tell all of us how much she loves us. Yeah, my daughter can get angry – like me – but, more often and more importantly, she is a sweet girl who willingly and freely expresses her affections toward her loved ones. I can honestly say I taught her that too. It is 5 AM and I have been awake since 3. Partially due to increasing nausea and my new obsession with this pregnancy, and partially due to excitement as I consider the future. I have so much to look forward to! As I look at my growing belly (that isn’t actually growing, it has just remained pregnant-like since my last miscarriage and when I gained that 20 lbs from birth control), I think of my two healthy children sleeping upstairs. The trials, the successes, the sadness, the joy, it’s all part of this parenting ride. While there are moments when I want to pull my hair out, I am learning that many of these come from my own insecurities and fears. The more I discover about myself–my strengths and weaknesses–the more content I feel when it comes to the many roles I play. I still have much to improve on but I feel excited as I consider the many possibilities that positive change brings. And so I am happy to announce that I am heeding all your advice and thinking of this pregnancy as a day by day experience. I will probably have many pokes and probes in the future, all of which determining how the pregnancy is continuing, and I am realizing there is no need in worrying over every little thing. That’s my doctor’s job. Instead, I will be joyful for the experience I have gained and intent on putting it to good use, whatever the outcome. With Emily being my first, I feel like I am blindly groping my way through the dark room of parenthood. Her twos kicked my trash and now her threes are taking me on a Merry-Go-Round ride of emotions. She picks up on everything I talk with Ben about and is starting to understand and fully express the various emotions of this human state. But rather than spinning out of control, I find us on the same ride: sometimes speeding up and sometimes slowing down. The Universe is in control and the good we send into space returns, twenty-fold, keeping our ride bumpy, but safe. I’m not always sure what to expect, but I feel confident that she and I will enjoy this ride and learn as we grow together. This is part of Galit and Alison’s, Memories Captured Linky. Ben works as a paraeducator in a first – third grade Autistic classroom. As much as he loves the job, he finds it difficult to understand the cattiness and gossip mongering that the teachers–all female–participate in. One conversation he recently overheard had to do with home school. Teacher one: I can’t believe so-and-so decided to homeschool their kids. Teacher two: I know. She isn’t even educated enough to know how to work with her kids on math and reading. Teacher three: And her kids will inevitably come back to high school with zero social skills. Teacher one: Oh my gosh, a roommate of mine in college had a former roommate who knew a girl who was home schooled. She was so awkward. 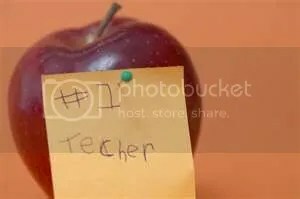 Teacher four: Yeah, I knew a girl [who was homeschooled] and she had no idea how to talk to people. Teacher two: Seriously, parents who think they can home school their kids are ridiculous. Their kids are going to be way behind the rest of their peers and go to college completely unprepared–if they do go to college. The conversation just gets worse but I’m going to end there. I know I probably won’t home school my kids. It’s not because I’m afraid they won’t be social or will be behind their peers, it’s because I can’t emotionally handle that plus a husband who is working 70-90 hours per week. At the same time, if I feel that one or all of my kids would be better suited at home, I would have no problem pulling them out of their classrooms and teaching them. What I find ironic about this conversation is these same teachers often complain about how annoying parents can be. These parents want this, these parents want that, and often the parents don’t think the teacher is giving their kid enough one-on-one time. But, when a parent decides that rather than complain about the teachers and the free education their kids receive they will home school them because they think it will be better for their kids, the teachers still find fault. My husband said it well. These teachers (not all teachers) feel like home school is their enemy because it means they aren’t good enough. That isn’t true. The truth is, sometimes a parent feels their child needs something more. Can you really blame a parent when they see their kid struggling and want to give home schooling a try? There are so many things to write about regarding home-schooling. So many myths to debunk. For right now, I want to conclude with this thought: With all the resources available to home schooling parents, do we really their kids will grow up to be unsocial and academically behind adults? I don’t know about you, but I’m going to do my best to give these parents all the support they need in making that big decision. We have been on a budget for most of our marriage, but especially so after Ben graduated (hence the two jobs). I thought I’ve taught my kids the importance of sticking to the budget. Apparently I was wrong. Just last week I explained to them that we needed to ration out our diapers and wipes. “One diaper and ten wipes a day,” I said. “I wanna drink!” Emily responded. Alright, I thought, it will be smooth sailing from here on out. Then they decided to get sick! This more than quadrupled our diaper usage! I couldn’t very well let them make messes on the floor, could I? So I had to let them use more than their one diaper quota. It’s even worse when we head to the store. “Don’t touch anything!” I sternly warn them. Before we are even down the first aisle, Emily has licked/bit on half the items. I had only to buy milk, bread, and cheese, but by the time we head to the check-out stand, my cart is full from her diligent efforts at vandalizing my grocery budget. Naturally, once I am loading all her groceries onto the conveyor belt, she grabs all the candy from the display, rips them open, and begins chowing down on her stolen goods. Between my kids’ out of hand diaper usage and Emily’s expensive grocery trips, I’ve already spent my allotted allowance. And it’s only the first of the month.